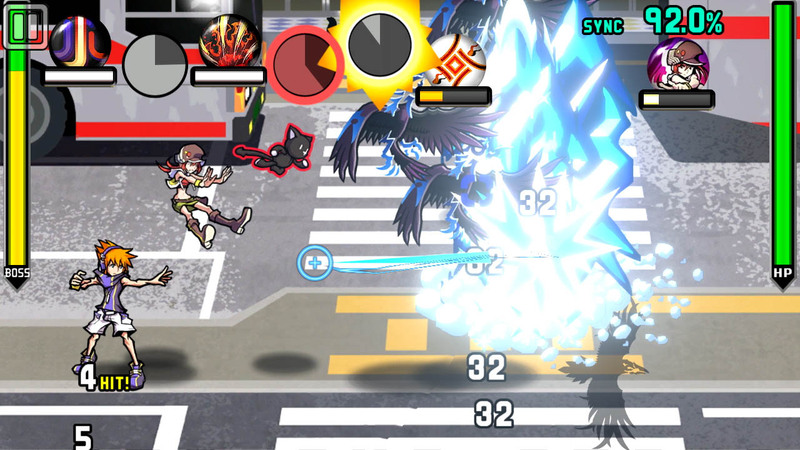 There’s been a lot made of the control scheme for The World Ends With You: Final Remix, with many suggesting that the use of touchscreen or mobile inputs (depending on whether you’re playing in handheld or docked mode) ruins an otherwise great experience. At worst, though, the controls are a minor inconvenience, and all this discourse seems to distract from the day more important things that The World Ends With You the magnificent game that it is. 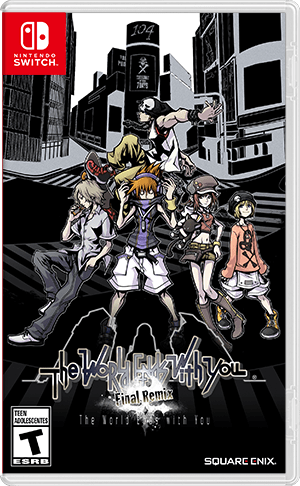 Taking place in Shibuya, The World Ends With You follows Neku Sakuraba, a rebellious teenager who seems generally disinterested in interacting with other people. He wakes up one day in the middle of the famed Scramble Crossing, with no memory of how he got there. Despite the thousands of people using the crossing, nobody else seems to notice his presence. Things turn even more strange when he finds a countdown imprinted on his hand, and a message on his phone warning that if he doesn’t complete his mission before the timer runs out, he’ll be “erased”. Eventually, he runs into the one other person who can see him: a fashion-obsessed girl named Shiki, who’s been given the same mission as Neku. As it happens, they’ve been dragged into some sort of death game, simply called the Game. If they can complete seven daily missions, they’ll get to go free, but if not, they’ll be erased. Aggressive ghost-like creatures called “Noise” don’t make their task any easier, nor do the “Reapers” who are tasked with interfering with players of the Game at every turn. The catch is that they’re already dead. The Game is a chance to either get brought back to life or to transcend to a higher plane of existence, but only for those who prove their to prove that they’re worthy of such a gift, would-be players need to sacrifice their most treasured possession as an entry fee. There’s a unsubtle metaphor in there about reincarnation and enlightenment—the idea that existence is an endless cycle of death and rebirth, only to be broken by discovering one’s true self. In the case of The World Ends With You, that process is made literal through the Game, which can only be entered by sacrificing one’s most treasured possession. 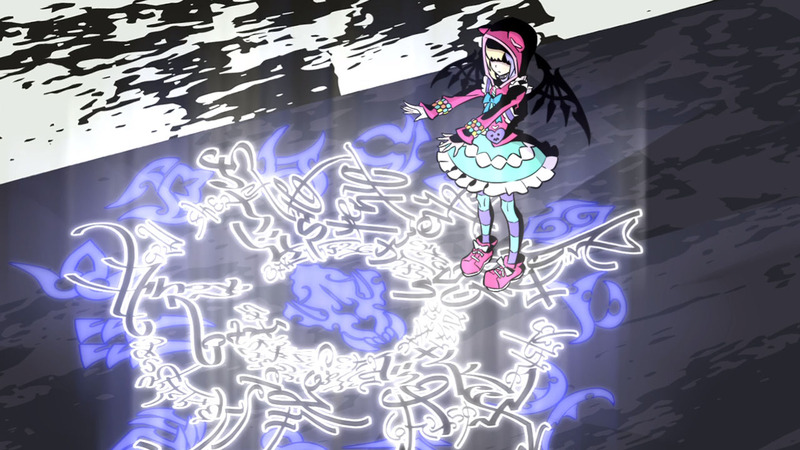 Much of the Game revolves around entering a meditative state, allowing Neku to see and fight Noise. It’s a metaphor that only grows more apparent with all the twists and turns that the story delivers, and it goes to some surprising places. It’s not that unusual for games—especially those from Asia—to draw on Buddhist symbolism and ideas, but The World Ends With You lands up in a rather unexpected place. One of the most defining aspects of The World Ends With You is its art style, which draws on the likes of graffiti, tattoo art, and street fashion. It’s very much a game designed around youth culture (Japanese youth culture, specifically), but not in a “How do you do, fellow kids?” sort of way. Rather, it’s an almost anthropological exploration of “youth culture” and it how it relates to traditionalism in Japan. Every country has its generational divides, and in Japan, that often comes down to what older people see as the young rejecting spirituality and collectivism in favour of something very material and individualistic. 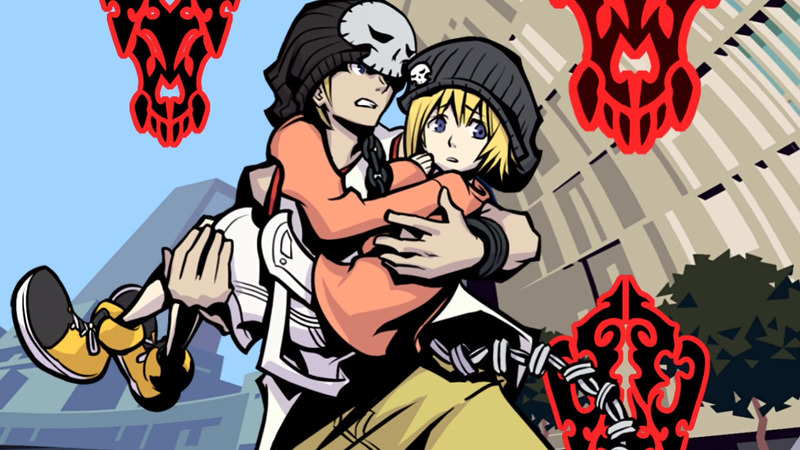 The World Ends With You uses all its counter-cultural iconography to demonstrate that a younger generation isn’t just abandoning those values that the elders hold dear, they just manifest in a different way. Young folks may be more demonstrative of their individuality, but those bonds of friendship and family are still a crucial source of identity. They may not be “spiritual” in a traditional sense, but they still have their own ways of connecting with their world, with nature, and with a spiritual plane. This isn’t just limited to the overt storytelling, either, but in everything from the battle system to the role of fashion in outfitting your characters—where being on trend can have huge benefits. All your different attacks and skills come from pins, those little round statements of identity that you might see on an otherwise uniform backpack (especially back in the mid-2000s, when The World Ends With You was in development). The battle system carries that same sense of style; rather than just tapping buttons or selecting options from a menu, it’s all controlled by touchscreen or motion controls as you tap, swipe, and draw symbols on the screen to activate your various pins. It’s quick and flashy, and in even now that touchscreen action games are far more ubiquitous than when The World Ends With You first came out, it still creates a feeling of carving out your own slice of the game’s world. Combat is also very different in Final Remix than in the original The World Ends With You, but that’s not necessarily a bad thing. For all the criticism Final Remix has received over its controls, the original was a nightmare—a beautiful and creative nightmare, but a nightmare nonetheless. You had to control two different characters simultaneously: on the Nintendo DS’ bottom screen was Neku, controlled by stylus on touchscreen, and on the top screen was Neku’s partner, controlled by the buttons. It was a fascinating concept that led to some fascinating encounter designs, but the learning curve was intense and it could never quite shake a discombobulated feeling akin to trying to pat your head while rubbing your belly. In Final Remix, the whole combat system has been reworked for a single screen, and it’s a lot easier to wrap one’s head around. For the most part, you control only Neku, with the partner jumping in for assistance when you input certain touch commands. You’re still encouraged to make the two characters work together and build up their synchronisation by comboing their attacks together, and the supercharged Fusion attacks still have their own little gimmicks, but overall, it’s a much more simplified battle system. Purists may not like that, but I don’t think it detracts from the game at all—the feeling that the original game managed to invoke is still there, it’s just not as hidden behind obtuse game systems. The touchscreen controls work as well as ever in handheld mode, and I never had any problem getting the right attacks to come out. It’s odd that you can’t move around with the analog sticks outside combat, like you can when you’re playing in TV mode, but it’s far from an issue. I must admit, I only tried the Joy Con motion controls briefly—I have my Switch in handheld mode almost permanently—and while not quite as reliable as the touchscreen, they’re perfectly functional. I don’t know what all the fuss about controls was, really. 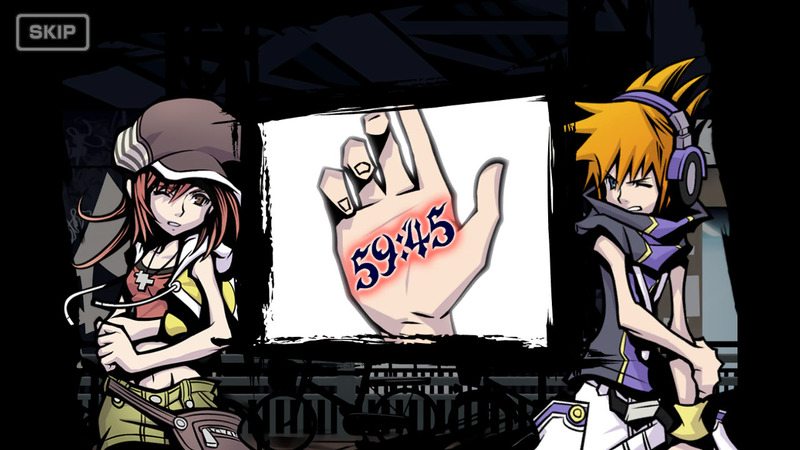 The World Ends With You was a unique, unusual, and special game that far too many missed out on playing. Purists might not like the changes to the combat system, but Final Remix offers a far more accessible way to experience this game. And between its stylish presentation, slick combat, and a story that balances youthful rebellion with spirituality, The World Ends With You is well worth experiencing.